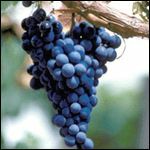 Black grape variety originally cultivated in the Médoc in Bordeaux, however its popularity decreased due to its low resistance to frost, downy mildew and rot. It is still grown in smaller quantities and is blended with Merlot and Petit Verdot. In the Cahors Malbec is still the predominant variety where it is known as Auxerrois, here it produces smooth, round and ripe wines. It is also blended with Merlot and Tannat. It is also permitted in many other appellations of France, and thousands of different synonyms exist. In Argentina it produces hugely popular, easy drinking wines that are smooth and fruit driven. It is the 3rd most widely planted grape in Chile, where it is sometimes blended with Merlot and Petit Verdot, to produce slightly more tannic wines.